Monmouth Rubber & Plastics donated $500 to the New Jersey Blind Citizens Association to demonstrate its deep commitment to the work of NJBCA for its expansion of its Eye Center services and program. 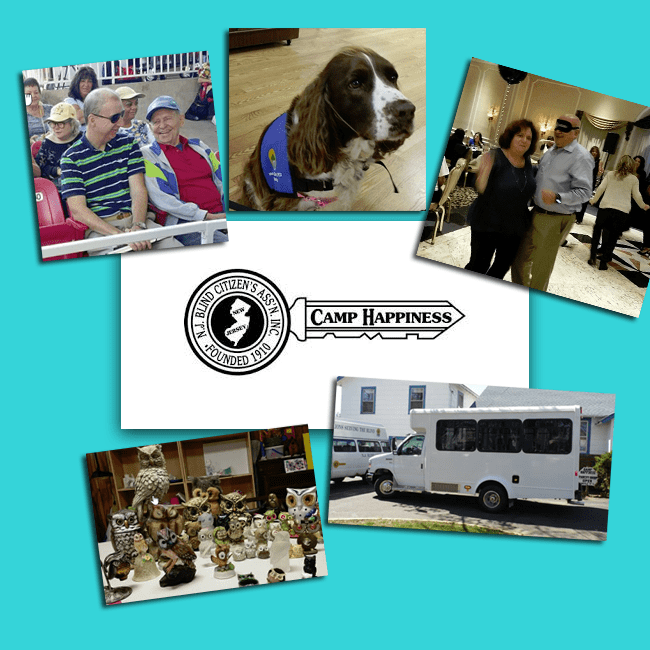 The mission of NJBCA is to enhance the quality of life for the blind and visually impaired through education, socialization, and fostering an environment of hope and purpose. Through programs and services for the blind, visually impaired and those with deteriorating vision, the New Jersey Blind Citizens Association unlocks opportunities and opens doors for growth, happiness and new experiences. With the help of our donors, volunteers, and other supporters, their participants gain independence and confidence to lead healthy, self-sufficient, and productive lives. 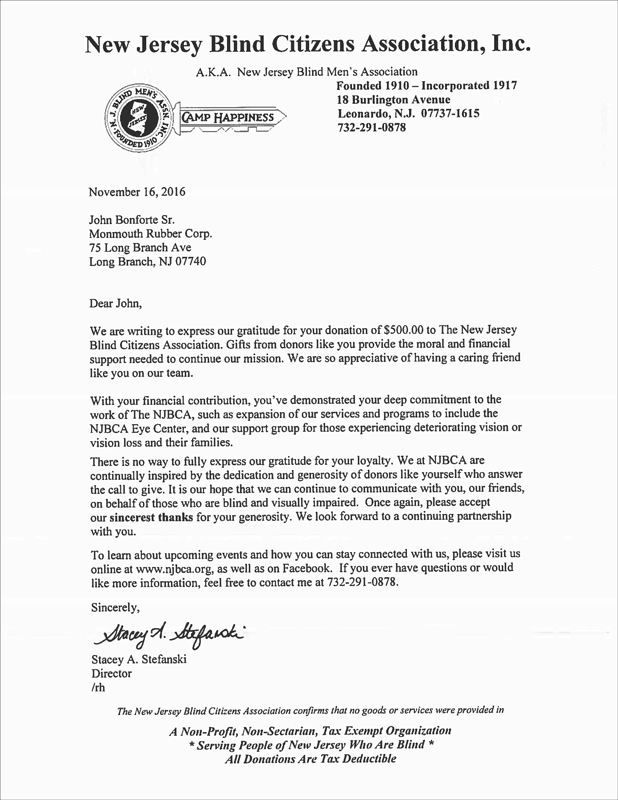 New Jersey Blind Citizens Association is located in Leonardo, New Jersey.